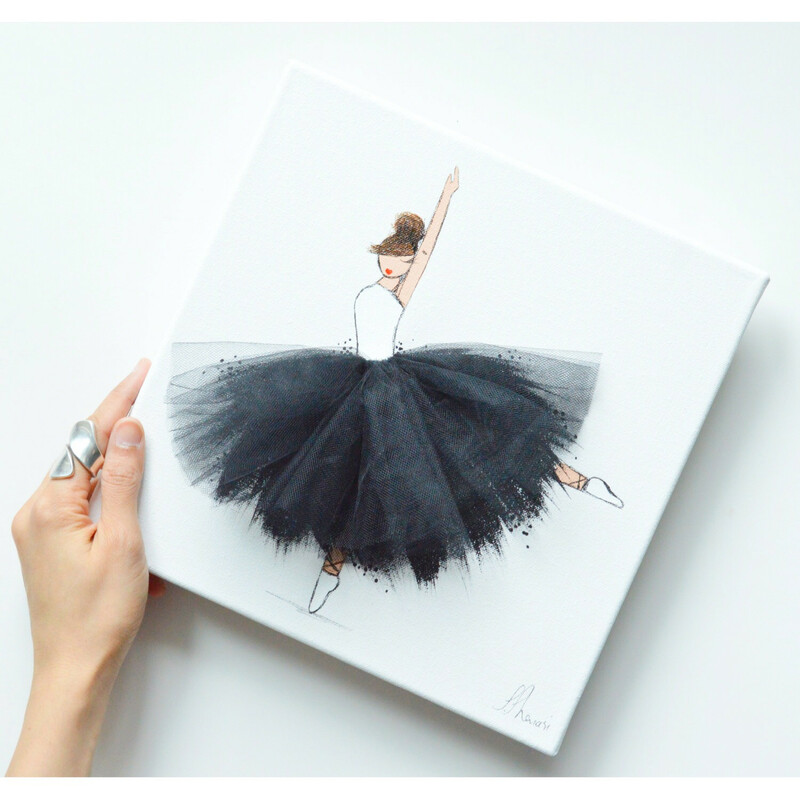 This classic, timeless dancing ballerina would be a beautiful addition as a centerpiece in your little one’s nursery, bedroom or playroom. She will bring a little fun, elegance, and inspiration for baby room décor. Also perfect as a gift for any occasion. You can customize our felt ball garlands to complement your ballerina. Sofia the ballerina is a great piece of handmade nursery art that can bring life to your child’s nursery or playroom. 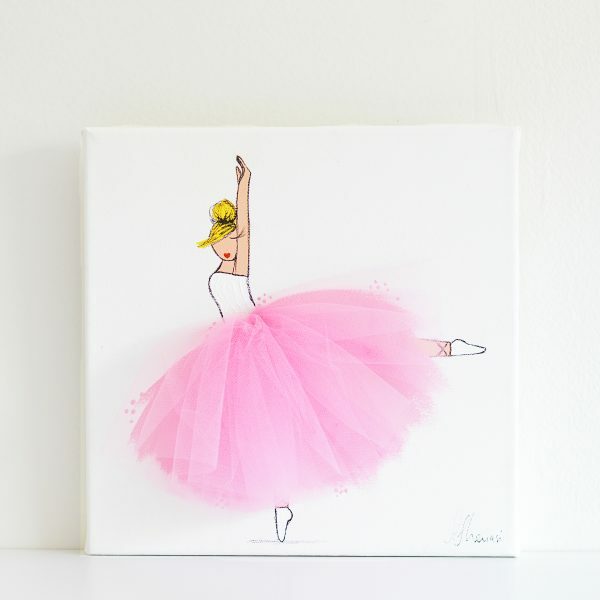 Sofia is hand painted onto a 10″ x 10″ (25.4cm x 25.4cm) stretched canvas and her tutu is carefully hand sewn with high quality tulle. This nursery décor is available in a pink or black tutu.